I completely agree! 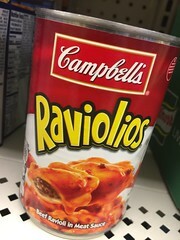 I recently found Campbells Raviolos and they are much. Enter! Never will by Chef Boyardee again! I meant to write, much better!